So anyone have any thoughts on this beast ? Im always checking out Subs and came upon this one. I haven't heard of the Company but that dont mean anything. I Also know DAS http://www.dasaudio.com/en/p/sf-30a-2/ uses the same powersoft 30 in a box they built for club install , and Rat sound http://ratsound.com/daveswordpress/2017/01/08/american-bus/ makes a box with it also. PK is one of the darlings of the EDM circuit. Yeah I read that about them , How do the compare to most other commonly use subs in the industry ? Are there alot of riders calling for them in the EDM world ? 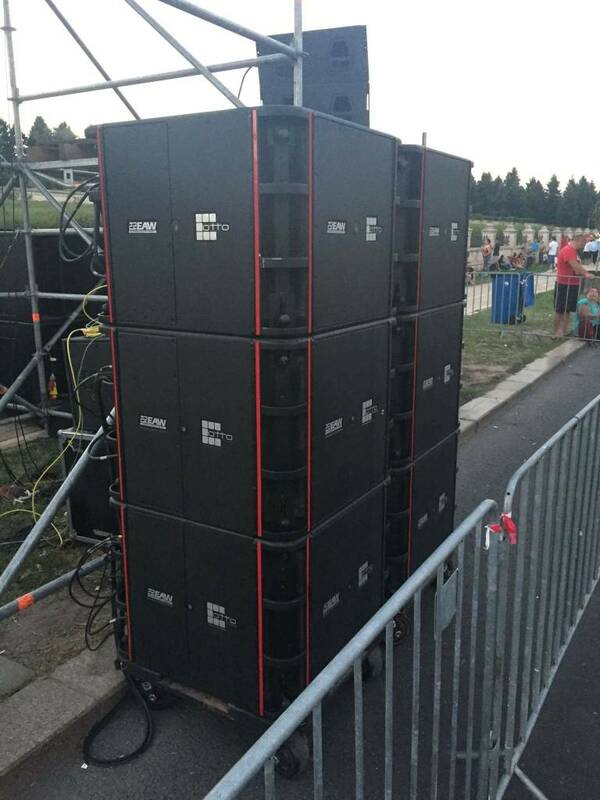 Most of the EDM show systems I have seen use a ton of dual 18 boxes (matching the tops Brand Name ) in cardiod configuration. 1)How do the compare to most other commonly use subs in the industry ? 2)Are there alot of riders calling for them in the EDM world ? 3)Most of the EDM show systems I have seen use a ton of dual 18 boxes (matching the tops Brand Name ) in cardiod configuration. 1) The M-Force driver is so radically different than any moving coil driver it has been hard to really compare, as it has a moving magnet and built-in amplification. The fact that Dave Rat decided to use them is a good indicator that they are a step above the best moving coil drivers in terms of output to space. The PK design integrating the center grill as the motor heat sink would be a big advantage in the EDM world, where LF dynamic range is often no more than that of a sine wave, 3dB crest factor. PK had also been using some of the best pro 18" drivers, so they also seem to think the expense is warranted in terms of output to truck space. 2) No idea if the "newish" tech has gained much traction, riders typically request "X amount of 2x18" rather than output levels, though there can be as much as 15 dB level difference between 18" output..
3) Tried and true, but for big budgets the M-Force will probably start gaining traction, but just like with tapped horns, it is hard to convince anyone that one cabinet can do what 2 or 3 can until they hear it. other companies are also using this new platform from Powersoft. Aura Audio, Funktion One (this one I heard twice and both times they managed to really impress me), Mag Audio, Audio Focus (40" design, 2 vs 6 dual 18 comparison . The tech is new, not very well understood and it really does perform extremely well. Because of the way the whole system works , with a pressure sensor and 10 micro seconds lateny feedback, the sound is extremely tight and with very low distortions . The reactivity of the motor is letting the system to be a low loss oscillator that can be very efficient, the damping of the amp gives control over the motion of the diaphragm, the low impedance is dominating the enclosure's parameters and with the amp unit's you can virtually change the Thiel Small parameters of the drive to make it behave as you want it to. That's why it still in development, being so much different and having so many thing to modify to get the best performance. M-force is really nice, but you can still do EDM with dual 18", you just need to bring a serious one to your gig. Yes, of course you can. Having 80 18" TLW3000 and 104 B&C 15"SW115 drivers rubbed by 184 *1700 watt Powersoft amp modules really helps in an EDM concert . ANYA and Otto are really incredible.the OTTO is not about shear force. It's an extremely good and reliable tool to help fill the deep end of the Anya's ,which are very powerful down low by themselves. 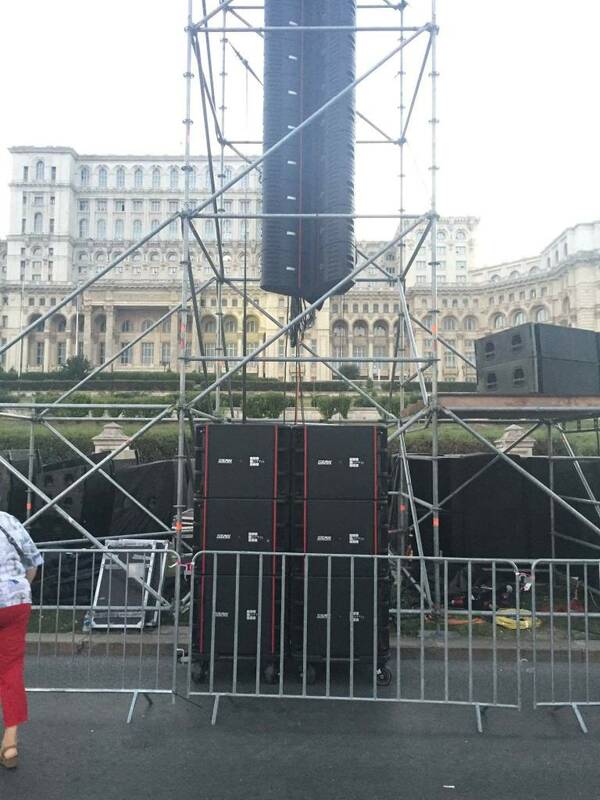 This was last week, used in a market with 60K people and at 20-80 meters it sounded like a studio monitor flat to 25 Hz everywhere. The driver looks like a update of Mr Danley's Servodrive concept. Curious to hear what he thinks of the driver. About the only thing is has in common with the servodrive is that the driver is round and it produces sound. It pretty much stops there. The driver in question is basically a "backwards" loudspeaker. Instead of a moving coil, it has a moving magnet. The servo drive was a motor (used in data transport machines) that rotated and went through a rotary to linear mechanism that drove the cones. The cones were basically common cones (no magnet or voice coil) that were dipped in epoxy to make them stronger and had a half round surround for long excursion. These drivers were then mounted in a horn to get extra output. The SDL Contra Bass used the dual 15" with dual 18" passive radiators.